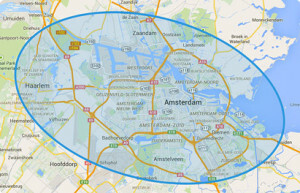 Do you own a home or business in Amsterdam Oost? Do you need urgently a locksmith? For example, because you are locked out or because there is broken for you? For replacement, installation and repair of locks you can call Locksmith Amsterdam East. That is the expert in the field of locks and burglary in Amsterdam East. For 100% damage free opening doors and for placing and replacing locks, we are available 24 hours a day to assist. To name are several situations where you need a locksmith. You have had to deal with a break-in or you want to prevent a break-through intrusion. You have locked himself out and you will therefore no longer in your home. Your key has broken off in the lock or your lock is broken. Nothing is more annoying than not come in your own home. Has anyone out? Or have you locked himself out? When the key is still on the inside of the door, it is difficult to get from the outside to the inside. Here you need help from a professional for. You turn the key just too wild for anything in the lock. You feel something crack and then realizes that the key has broken off in the lock. The door will not lock or unlock. You need help to fix the lock. During a night out or during a walk on the beach you lost your keys. A big problem because you do not enter your home longer. You’re looking for someone who could damage the door open for you. If your key is stolen, you will not come into your house. In addition, it is very dangerous. A burglary is so committed. You want your locks replaced quickly. If your door lock is broken, the door will not open from the outside so you no longer enters your home. If you want to get away from your home, it is not possible to make the door. The lock must be repaired quickly. A burglary in your home brings many inconveniences. It is an annoying idea to know that someone has been in your home. You feel unsafe in your own home and it is likely that the locks do not work properly. The repair and / or replacement of your locks is required. Are you locked out? Is your lock broken? In whatever situation you are in, Locksmith 365 helps you make a snap of your problem. Follow the following clear roadmap consisting of seven steps. Step 1. You are experiencing problems with your lock. If your lock is not safe anymore? Or you can not open your lock? Call to 06-19377776 and tell what your problem is. You will be day and night spoken to. Step 2. Within 30 minutes an experienced locksmith from Locksmith Amsterdam Noord arrived on location. Step 3. The next step is to open the slot of the door, the repair of the lock or the replacement of the lock. This happens very efficient, 100% damage and as promptly as possible. Step 4. Next, we are verify by means of a special monitoring if you are actually the owner of the house or building. Step 5. You will receive additional service in the form of anti-burglary advice or clearing a squeaky door. Step 6. You benefit from a fixed low price. You will be paid by cash, by pins or Reposting. Step 7. When Locksmith 365 departs Amsterdam, you quickly go on with your daily activities. You then benefit from up to 12-month warranty on all workmanship. Are you looking for a locksmith in Amsterdam Noord? Amsterdam North is the part of the city of Amsterdam, which lies north of the IJ with an area of ​​over 49 km2. You decide when you Locksmith Amsterdam Noord need. This is the middle of the night or early morning? No problem. Your Locksmith Amsterdam North is always there for you 24 hours a day. In a hurry? Should your lock gerapareerd fast or opened? Faster than the locksmith can not find them. You benefit from our ‘within 30 minutes’ on location’ warranty. Everywhere in Amsterdam. We open, repair and replace locks quickly and efficiently. This is because we always correct, most modern equipment with us. Are you apprehensive that your door damaged during our work? Locksmith 365 opens all doors 100% damage. Do you have a support slot, a side lock or a keypad lock? Locksmith North Amsterdam opens, repairs and replaces all types of locks. Through our years of experience we are familiar with all existing locks. Helped more than 10,000 Amsterdammers in the past 7 years by Locksmith North Amsterdam. Locksmith North Amsterdam uses an efficient, professional process. Lets you replace your lock or repair by us, you can be sure it is done correctly. Meet the fixed low prices for Locksmith Amsterdam North. A daily rate of only € 55, – and a nightly rate of € 90, -. Would you like to pay in cash or by debit card or iDeal? You decide how you pay. The payment options are diverse. You benefit from many additional service Locksmith Amsterdam North. In addition to locks do we do much more. We can help you out of a stuck door and give you anti-burglary advice. In recent years, Locksmith Amsterdam Noord already helped more than 10,000 customers to open, repair and replacement of locks. Are you the next with a happy and feel safe? Do you have a slot that does not open? If you are locked out or want to know more about intrusion or locks? Please check with Locksmith 365 at the following number: 06-19377776. How fast are you with me? Locksmith Amsterdam North is always within 30 minutes at your location. For a quick repair or replacement of your lock. But also for the opening of a door or for the placement of brand-new locks. Everywhere in Amsterdam. Locksmith in Amsterdam Noord, you have many payment options. Would you like to pay in cash or by debit card or iDeal? You decide how you pay. My door remains intact in your work? Yes. We are very careful with your door during our work. open your door locks and replace or renew, we do 100% damage. "My key broke off in the lock when I was inside my house and I couldn't get out. I called Slotenmaker 365 and they got here within twenty minutes and opened the lock very fast. Great service, we got a new lock installed and everything is working fine now! I would definitely call Slotenmaker 365 again if something like this would happen again!" "Excellent professional service from Eran and Kobi. Friendly, hardworking and enthuastic. I can highly recommend them. " "Great service of Eran! We had some problems with the lock in the same week, he repaired everything immediately without any additional costs! "